My wool project is proving rather slow this week. Gallivanting and lunching with friends are proving an easy distraction. 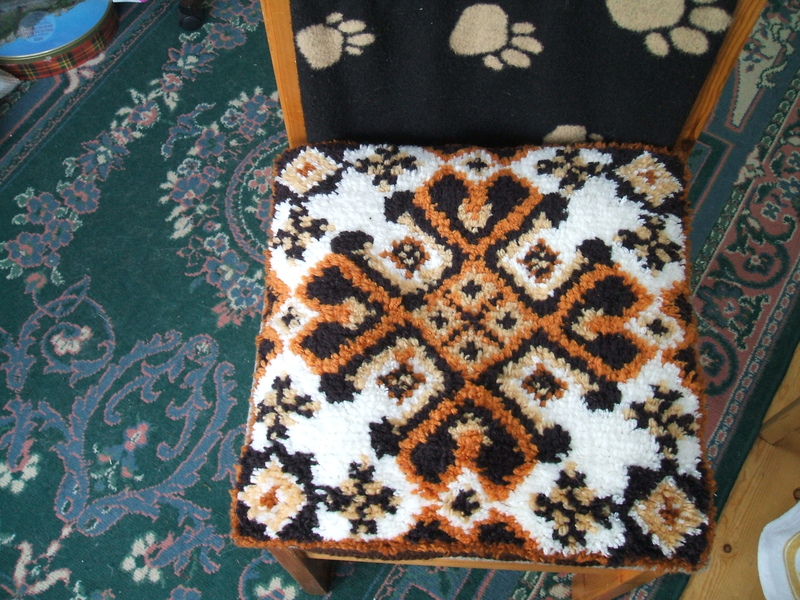 In the mean time I have a cushion with a difference. It was made by my sister. 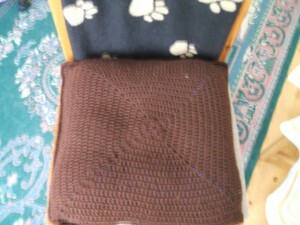 “Nothing spectacular!” I hear you say, a plain brown granny square. Well this is the back. The interest is in the front. 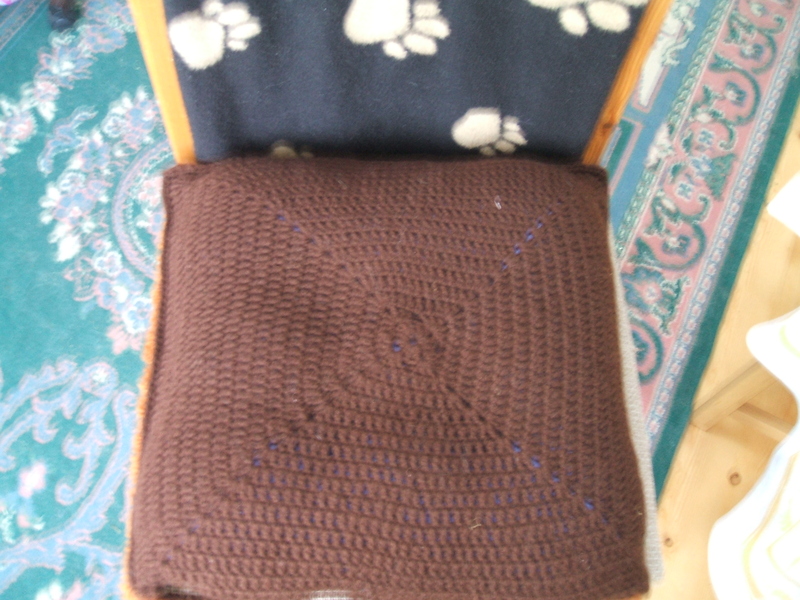 The front of the cushion is completed with rug canvas and rug wool. The back can be worked in any toning fabric. It certainly makes for very comfortable sitting. Now that has given me an idea……..! This entry was posted in Crafts on June 30, 2010 by Grannymar.